At Eastgate we are proud to have made a huge impact in the radiator & heating industry by introducing our very own range of designer radiators. 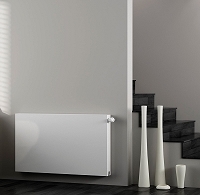 Our range of radiators is expansive and encompasses vertical, horizontal, flat panel, stainless steel and aluminium radiators, as well as all the radiator accessories you need to maximise fit and functionality. Through designing and manufacturing all of our designer radiators in house, we are able to strictly control all processes, from design to delivery, ensuring that you receive stunning, reliable and high performance radiators at the very lowest price point. That’s right, our aim is to bring you exclusive radiators which have been heavily discounted, and we do this by cutting out the middle man and selling directly to end users. Perfect for any room in the house, if you have any questions about the above range of radiators, just get in touch and we will be happy to help.